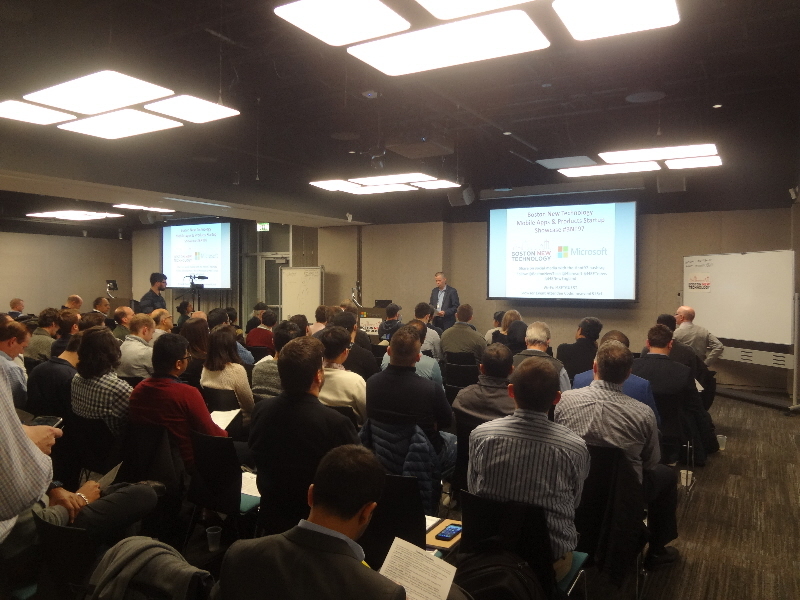 January 2019’s Boston New Technology startup showcase, BNT #97, was out in the suburbs, at Microsoft’s offices in Burlington, MA. It was another solid BNT event, with pizza and networking to start the evening, as well as booths for some of BNT’s sponsors. 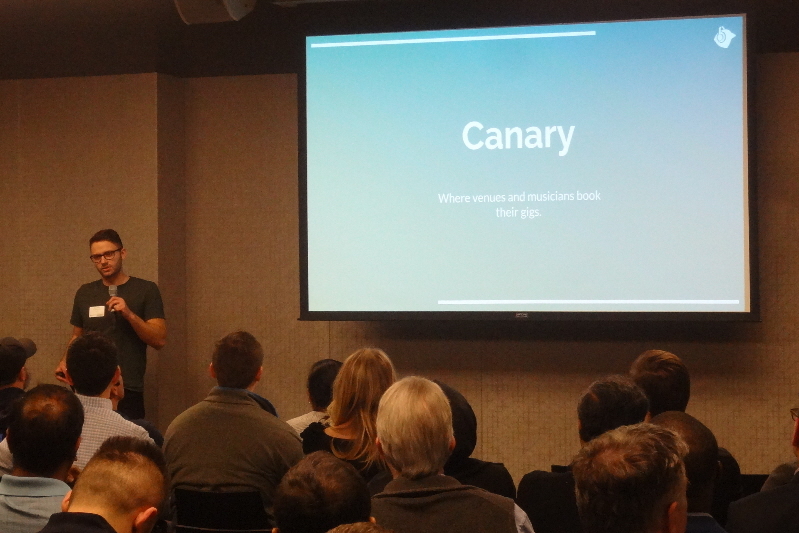 Then it was time for the seven featured startups to present. This month’s theme was mobile apps. Here’s a quick summary of each of the presenting companies. As always, if you’re interested, don’t rely on my description, formed over the course of a few minutes, to be entirely accurate. Just consider it an introduction and dig in deeper, check the websites, contact the companies yourself, and ask the questions you want answered. 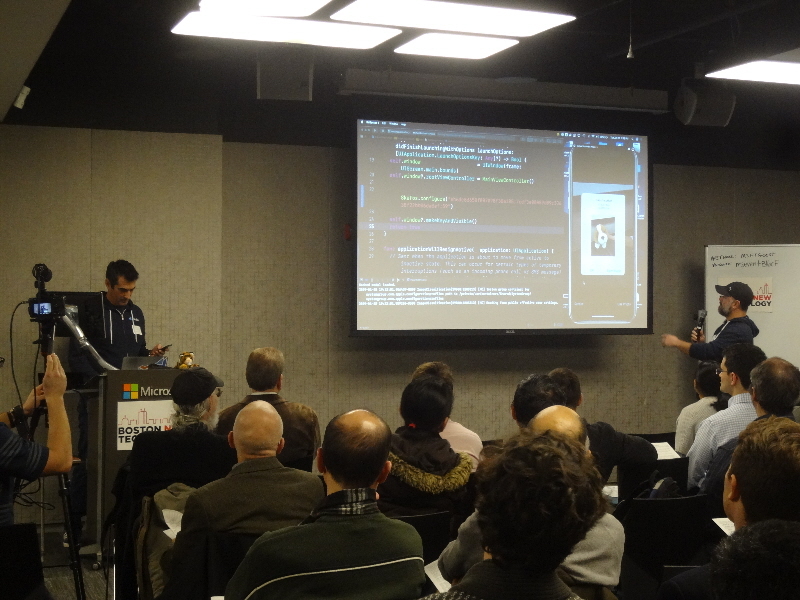 Metis Machine‘s Skafos.ai is a machine learning platform to help iOS developers enable machine learning and AI in their apps. The team did a great demo, showing how easy and quick it is to use. 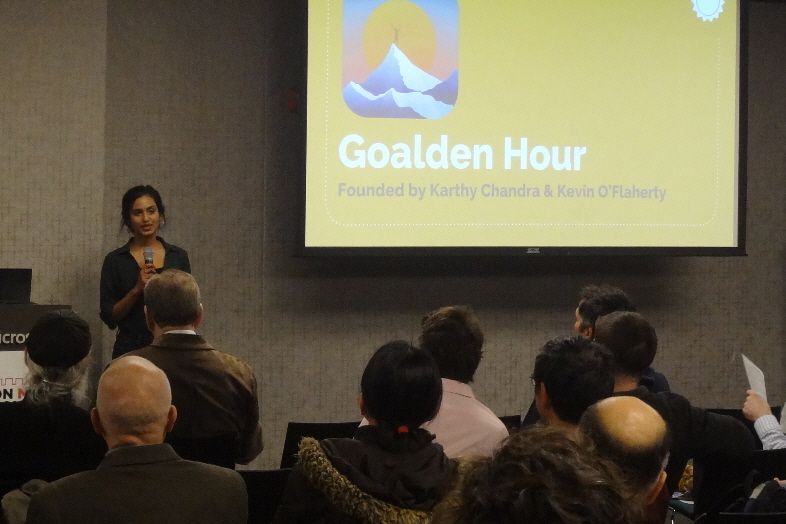 Goalden Hour is a planning and goal-setting app that also helps achieve self-improvement goals. A combination productivity and personal development tool, a combo task-manager and calendar, it’s a unique blend within a single app. 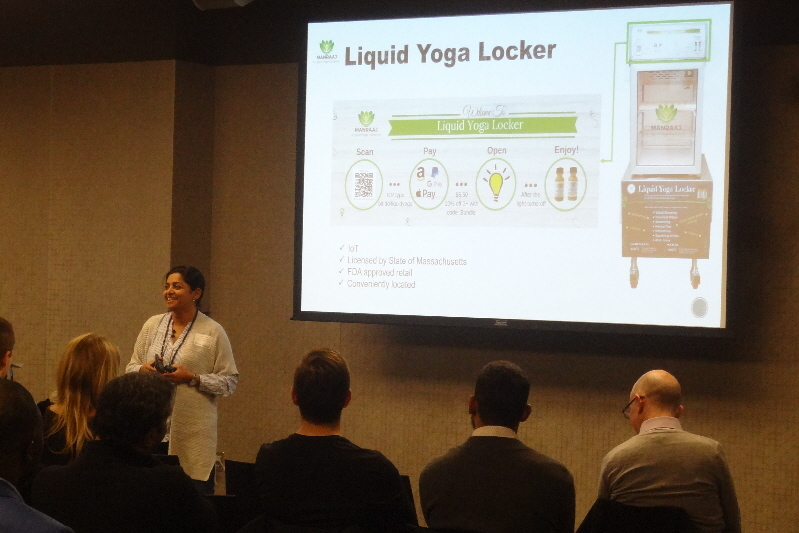 Liquid Yoga Locker is a pay-by-phone vending machine, as demonstrated in this YouTube video, from which its company, Manraaj, sells its healthy juices. Of interest was a point that came up during the Q&A, that the refrigerated lockers contain a lock to ensure no sales occur after a power outage. Indeed, check out the video. Ingenious way to get this product into unique locations via a vending machine and app. 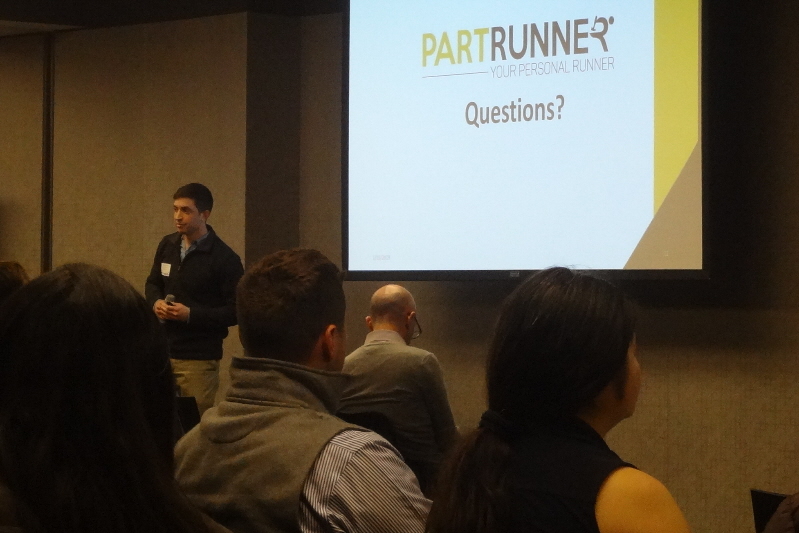 PartRunner is an app that accesses an on-demand delivery service for materials in the HVAC, plumbing and electric industries. The company has partnerships with supply houses, a network of drivers, and a good sense of who its target market is and what they want and need. With what seems like a strong business proposition, the company is focused on executing. Delfy is a social app for meeting new people and making new friends based on interests. 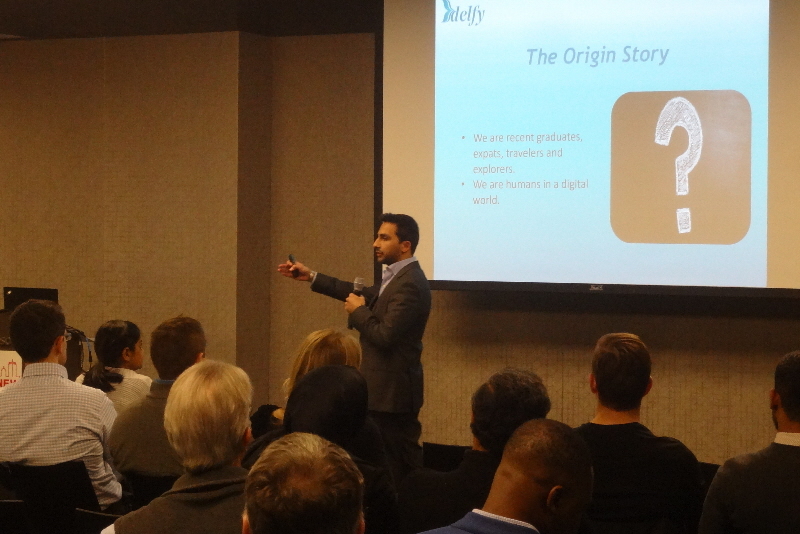 Delfy relies on a freemium model with a heavy tilt toward advertising as a revenue source. This app uses an almost dating app-like approach to helping create and build adult friendships. 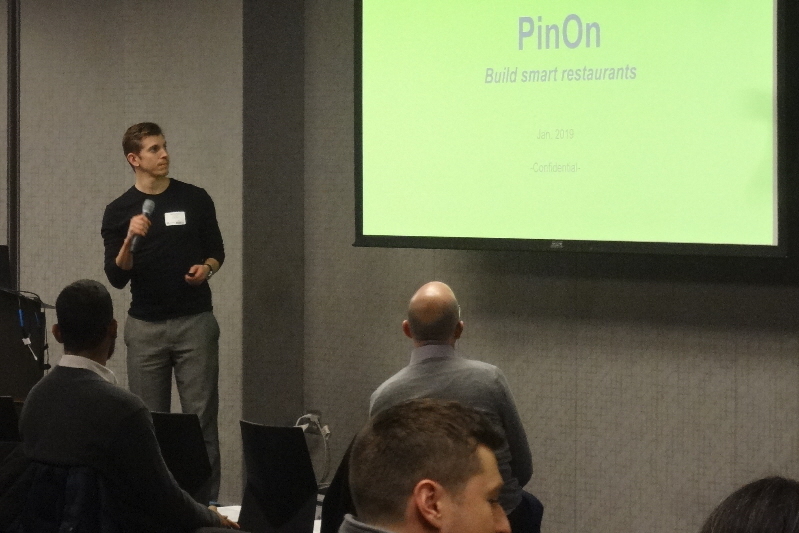 PinOn‘s Smart Menu is a “smart menu” app that allows restaurants to provide menu and other information via diners’ smartphones. From the diners’ perspective, it’s a customer app, but there are also waitstaff console and admin console components to the app for the restaurants. And, as you might expect, there’s an ability to provide data insights to the restaurants, as well. As usual, it was another interesting tour around the Boston tech startup community courtesy of BNT. And, as always, if my schedule permits, I’ll be back again next month to see a new set of tech presentations from another batch of Boston’s top tech startups.